﻿4 High-End Technologies You Must Be Infusing Into Your Home! With technology reaching new height every second by introducing thousands of high-end gadgets and electricals, this impressive growth is making our life easier and simpler. Technology for homes has become way smarter than before. Now, you hardly have to make an extra effort to get things done. Everything can be done smartly and that too without much efforts. Courts, a leading one-stop destination for those who wish to shop for the latest-technology gadgets and electricals for their home at unmatched prices. With an aim to provides an expansive range of latest and coolest electricals gadgets to its customer, Courts enables you to buy the best of the best high-tech gadgets and electrical at reasonable rates. If you are a person, who always forget where you've kept your main door's keys? Or, are you a kind of a person who does not want to safeguard your house's main door keys under the doormat? Then Smart Lock system is something that is perfect for you. Smart Lock is basically a keyless door locking system that let you access your home via., Android and iOS smartphones. With the help of this smart lock system, you can keep a track on who is entering your home. Yet another high-tech home electrical that you must own in order to transform your home into a smart one. Now control the lighting from anywhere in your home with this really cool and latest technology lighting system that allows you to on & off as well as dim the brightness of an area from your smartphone. You are sitting in living room and you forgot to switch off your bedroom's light, then you don't have to physically go and switch off the lights, you can easily do so with your smartphone if you infuse a smart light dimmer system into your home. Now, travelling will become easier for you if you are a plant owner. Get this amazing leading edge electrical to your home that waters your plants automatically when needed especially when you are away from home. All you need is to simply fill the smart pot attached to this gadget and it will dispense water as well as essential nutrients for almost a complete one month. This Self-watering planter is also ideal for those who fail to keep their plants alive. Now, eliminate the risk of cross-contamination with this yet another must-have high-end electrical home gadget that opens its lid automatically once it senses the motion. 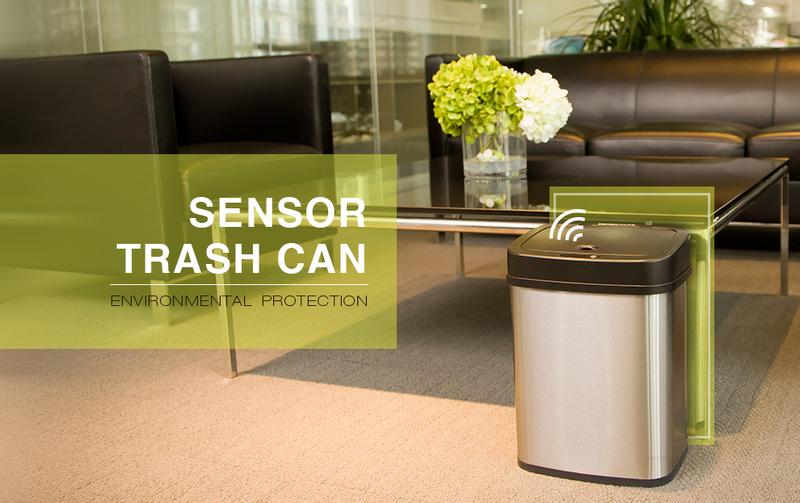 The motion-sensor garbage bin is a touchless garbage box that avoids cross-contamination and helps you throw garbage without even touching its lid. Make use of Courts voucher codes in order to make your purchasing for the above-mentioned home electricals pocket-friendly.